Afternoon Diggy Nippers, originally uploaded by SlyOwl. 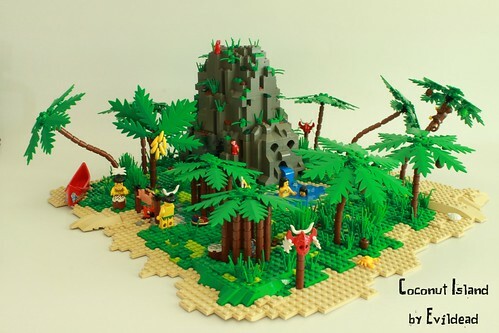 Coconut Island, originally uploaded by evildead1980. evildead1980 has concocted a brilliant little island scene with all kinds of gorgeous building goodies going on. I enjoyed his technique for the sandy beach — very organic and realistic. And here he’s got an awesome use for a little farm animal (below). Note also how effectively he was able to get the bananas together. We typically see bananas in a “bunch” — usually 5 or 6 together, though this is a pretty good rendition of a banana “fist” — bananas actually grow together like this, pointed up. And here a little tropical hot-tub complete with water supplied out the mouth of an ancient sculpture of a skull. Loved the use of the curved blue bricks here to depict the water pouring out. 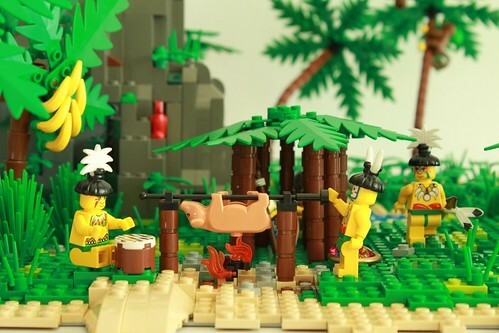 Notice also the use of brown minifig-heads as coconuts. 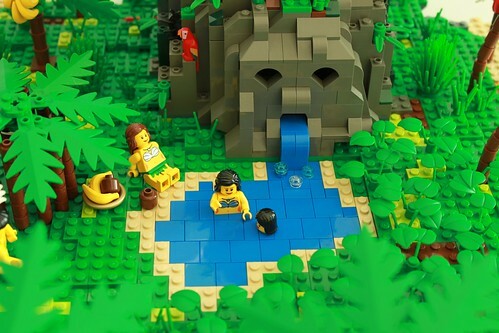 There is also a brilliant mix of multiple types of vegetation to make a very coherent, believable island scene. 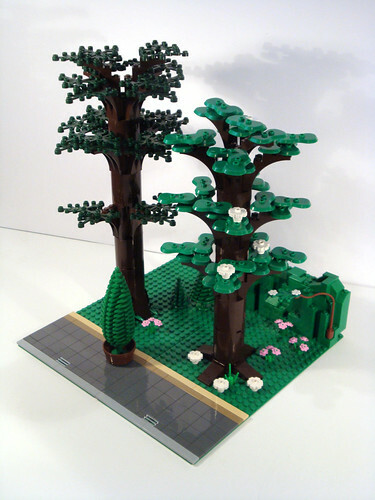 LEGO Modular Building Style MOC – Modular Park sections, originally uploaded by dita_svelte. The ‘Shroom Whisprerer by Foamrider on Flickr. 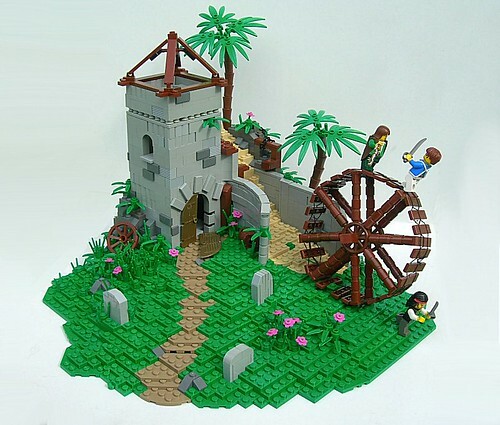 Entered in Classic Castle’s Job Muller’s contest earlier this year. The things that stood out to me here were the simple, yet effective tree, and the mushrooms.